by Dava Sobel | History | This book has not been rated. 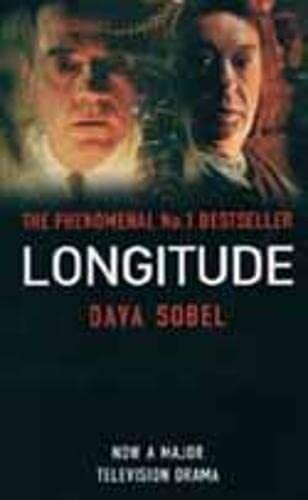 Longitude is the dramatic true story of an epic scientific quest. The 'longitude problem' was the thorniest dilemma of the eighteenth century. Lacking the ability to measure longitude, sailors throughout the great ages of exploration has been literally lost at sea. At the heart of Dava Sobel's facinating brief history of astronomy, navigation and clockmaking stands the figure of John Harrison, Yorkshire clockmacker, and his forty-year battle to build the perfect timekeeper and claim the £20,000 reward offered by parliment. The Winner was Pequete - Portugal. Will mail it in the next couple of weeks. Sending onto Pequete as a RABCK. It has just arrived! Thank you Rosiewhippet, will read it asap! It took me too long to get to this book, but at least it was not catching dust in my bookshelves all these years, as it was read by two other people in the meantime - my dad and my husband, who both liked it a lot. And today I have just finished it myself. I haven't seen the film, therefore I think I enjoyed the book even more. I really liked all the historical information told in such a captivating way and I found myself despairing along with Harrison through all the hardships he went through to receive his well deserved prize. Thank you for sharing, Rosiewhippet. The book is now available for new readers. On its way to the winner of Arvores' 2017/18 Winter Lottery - I hope you enjoy it as much as I did! Now it's with me. Thank you Pequete.